I'm still rattled by this film. It's haunting. 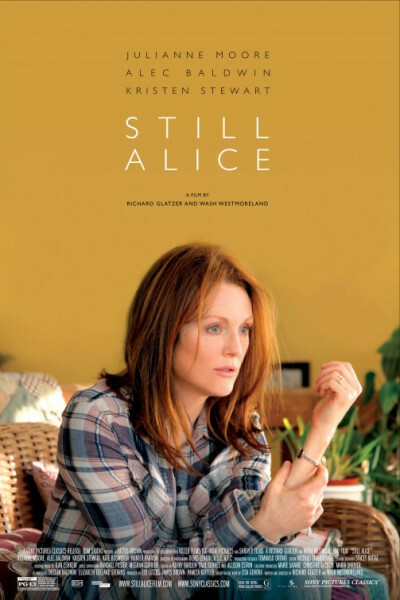 We all know someone with Alzheimer's, and to see it played out through the eyes of Julianne Moore is extremely moving. The film is wobbly in several ways, for example, whitewashing a few scenes, never finding the ends of several important threads (what happens to the children, why is the husband, John, so detached...and what comes of him? ), and failing to provide important facts in the credits-crawl, which would have been interesting. I suppose there's always Google, but it was a lost opportunity following so much momentum. As it did Alice, the film may just leave you speechless. Julianne absolutely deserves the Oscar.